A.J. Howarth Electrics operate's all over The Wirral, Chester, and into North Wales. 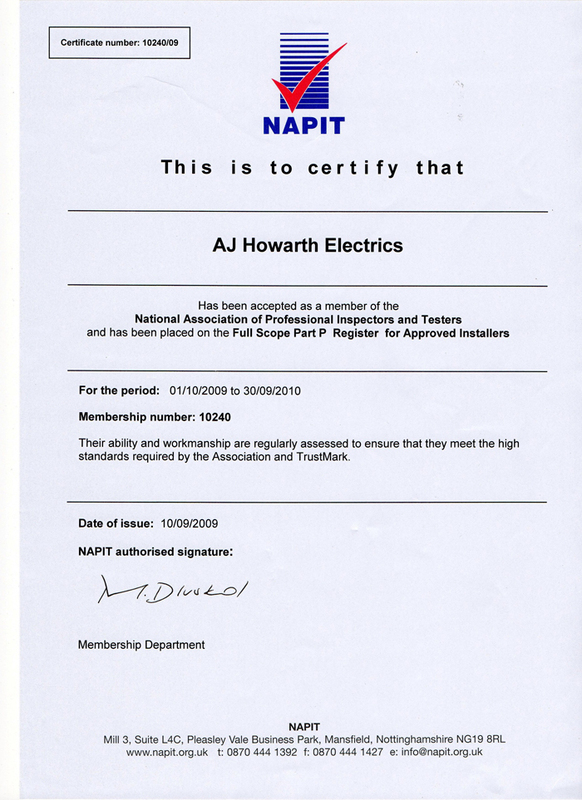 We are registered with the National Association of Professional Inspectors and Testers(NAPIT). We are ready to help you, please either use our contact page to get in touch or call us now on 07595949888. A.J. Howarth Electrics came as agreed and did a great job rewiring our kitchen. I would have no hesitation in using them again. Many thanks for your prompt and reliable PAT Testing service. I am very pleased with the electrical rewiring work that Andrew did in my home. Really friendly & helpful. Attendence was prompt and work was efficient & tidy. A great service provided and competitive in terms of cost. He arrived when he said he would and quickly sorted the problem. Thank you for fitting the electrical heating in our new extension. A great job.